The "just following orders" excuse is not an acceptable defense for war crimes and corrupt conduct. On the 11th anniversary of the 9/11 terrorist attack, it is important to look back and reflect upon the day which pushed our country down a very dark path. The attacks on the World Trade Center and the Pentagon killed over 3000 Americans and have resulted in debilitating health consequences for the first responders who were exposed to toxic chemicals—hundreds of these brave individuals have developed cancers and respiratory problems and are still in need of treatment. The largest terrorist attack in American history not only killed our citizens, but it brought about widespread fear, paranoia, and a willingness to do virtually anything to feel safe again. While it is wrong to minimize the loss of life which came from the 9/11 terrorist attack, arguably the most serious damage done by this attack did not come from the planes flying into buildings, but rather our response to this attack. 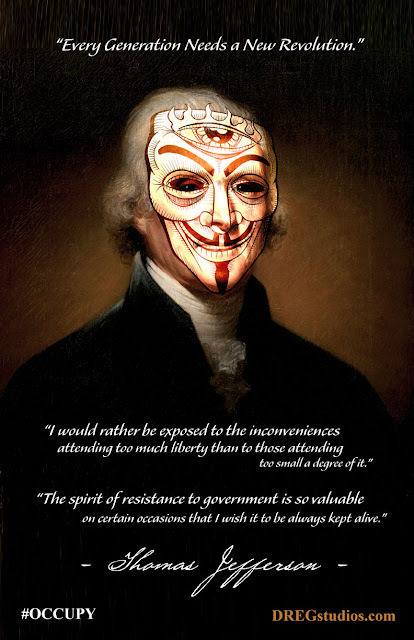 The American people shut their eyes and let their government do immoral, unethical, and un-American things in their name, all under the aegis of preventing future attacks; pointless wars were started, killing thousands more innocents. Our country began detaining people without due process and torturing them. An American security state was created and egregious laws, such as the Patriot Act, were signed into law. With the death of Osama Bin Laden and the virtual dismantling of the Al Qaida terrorist network, the terrorists who conspired to kill our civilians and create terror in our population were brought to justice. While it took many years longer, and cost us much more blood and treasure, that it could have, the architects of the 9/11 terrorist attack were punished for their crimes against the United States. Unfortunately, the individuals who used the tragedy of 9/11 to push an ideological agenda and justify the widespread breaking of laws in our names have not been punished, and may be allowed to walk free. Certain elements within the Bush administration used the tragic deaths of thousands of Americans to justify their extreme agenda and excuse the subversion of the rule of law. As of yet, the Obama administration has refused to act upon the clear evidence implicating members of the Bush White House in official misconduct, war crimes, and the disregard of American lives in favor of a political agenda. With this unfortunate refusal to apply the law, even to ex-politicians, future administrations will be able to point back and say “if torture is illegal, why weren’t they prosecuted?” They will be able to act in disregard of the law, secure in the fact that precedent protects them from the legal consequences of their actions. In order to stop the guilty members of the Bush administration from walking away and to prevent this terrible precedent from being set, The Obama Administration must begin legal proceedings aimed at charging the guilty. 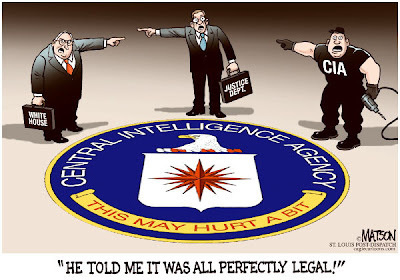 The fact that Bush administration officials utilized their official power to break the law, commit war crimes, and tell lies which resulted in multiple deaths, does not exempt them from consequences—rather, it makes the pursuit of justice even more vital. These people committed crimes in our, the American peoples’, names and we should not be willing to let them slide. Americans need to protest and demand that everybody, regardless of partisanship or position, pay for their crimes and be held accountable under the law.